Judit Polgar is the best female chess player of all times. She was born 23rd of Juli 1976 in Budapest, Hungaria. When she was 12 years old she already showed outstanding chess talents and became the number 1 on the world's rating list for females and became three years later, at 15, the youngest grandmaster (GM) of men. She grew up with the two elder sisters Zsuzsa (born 1969) and Zsofia (born 1974) and was taught chess, together with her sisters, at the age of five by her father, who was convinced that a chess genius is made and not born and wanted to prove that. Over years to come his daughters received daily chess lessons. Judit was ranked number 27 in the rating list October 2008 with an Elo rating of 2711 and is the only woman on FIDE's Top 100 Players list. Temporarily she moved up to rank number 8. At 1989, when she was 12, she had 2555 Elo and was number one on the rating list for women. From then on she wanted to play only against men to progress further and took part 1990 at the world championship for boys under 14. She won this tournament with 9 points and became world champion in this category. Judit's dream is to become worldchampion of men. Judit's playing style is active, she likes to attack and has excellent tactical abilities but sometimes she overextends her games and has to refine her positional qualities. Judit's sisters are strong chessplayers as well. 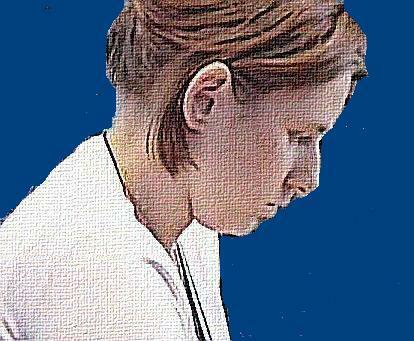 Zsuzsa became 1996 worldchampion of women and Zsofia is rated among the top ten of women chess players.